It's not often that we see the Duchess of Sussex dressed down, but on hers and Prince Harry's tour of Australia, she provided plenty of inspiration for more laid-back looks. 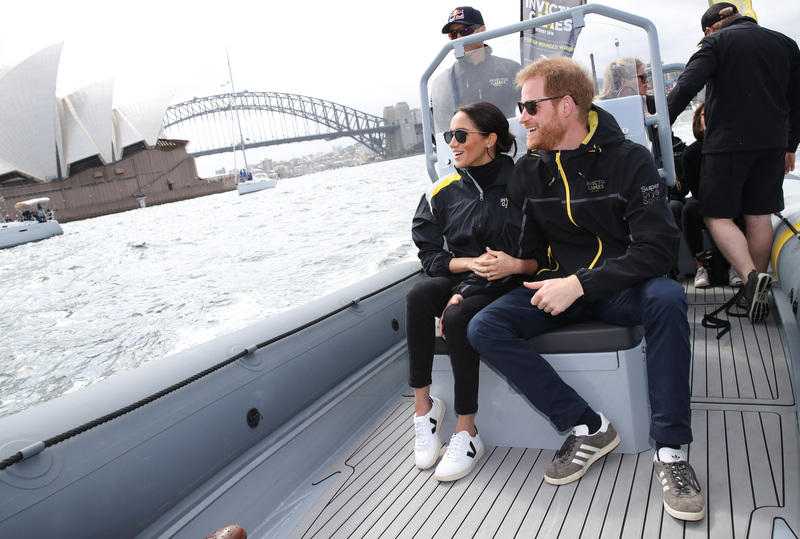 On one day of the trip last year, the Duke and Duchess took to the water to watch the Invictus Games sailing event. And Meghan opted for a chic, relaxed outfit for the days engagements, wearing an Invictus jacket, some black jeans and a pair of simple white Veja trainers. But while the Duchess’s footwear was slightly pricey, at £80, Marks & Spencer have released an incredible dupe that are much more affordable. Their leather lace-up trainers are remarkably similar to Meghan’s, on sale in the same white colour with a matching blue stripe down the side. Like Meghan’s, the shoes have a chunky sole, providing a comfy platform for you to walk on. But best of all, the M&S trainers are on sale for just £49.50, just over half the price of Meghan’s original shoes. Online, all sizes are still currently available, and if you prefer to shop in store there’s every chance you can find your size to try out. Customers have already been reviewing the M&S trainers online, and it seems they’re going down well. One shopper wrote, ‘Love these shoes very comfortable and look really fashionable.’, and another even noticed the connection to Meghan’s shoes. They said, ‘Loved these trainers so much I purchased both the white and silver. Look just like veja’. The shoes are on sale in both silver and white – so take your pick and get shopping! You can buy them here. 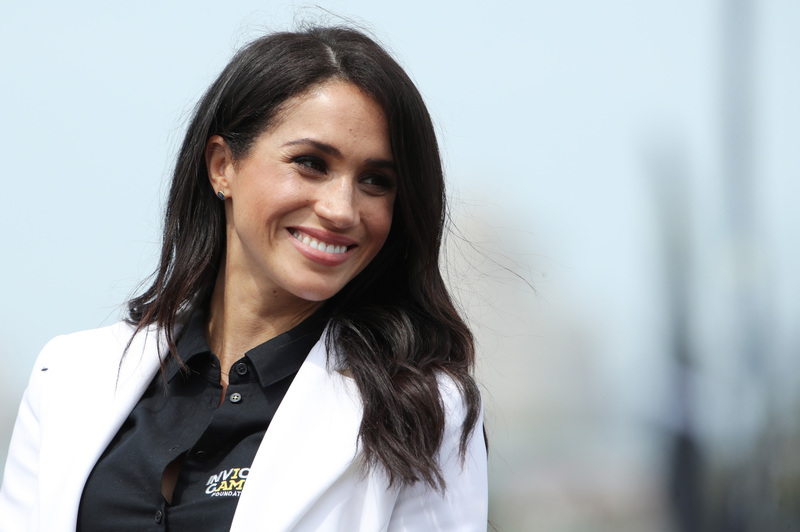 Of course, the Duchess of Sussex isn’t the only member of the royal family who loves wearing a comfy pair of trainers occasionally. 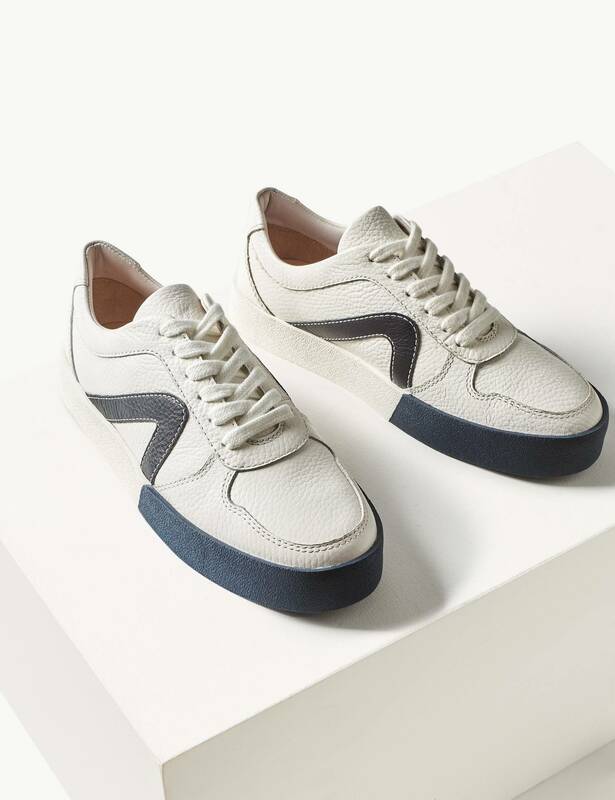 The Duchess of Cambridge has often worn her favourite £50 shoes from Superga, and has recently debuted some other fashion-forward trainers from New Balance that costs just £80.